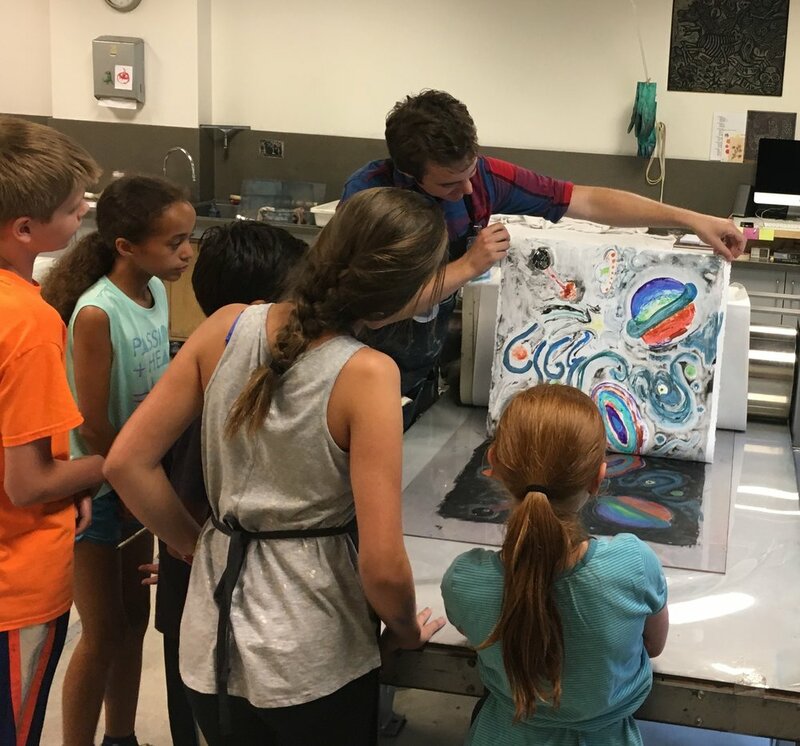 A weeklong camp combining printmaking and environmental education. This two-part seminar will be an introduction to the tools and methods used to integrate digital content into traditional printmaking. Students will learn the basics of screenprinting using water soluble drawing materials. Enjoy a maker-friendly, improvisational style of woodblock printmaking developed by 20th century Japanese artists. This class will cover the process of printing multiple colors with multiple relief blocks. Come on in and get inky for Winter Free ink Day!